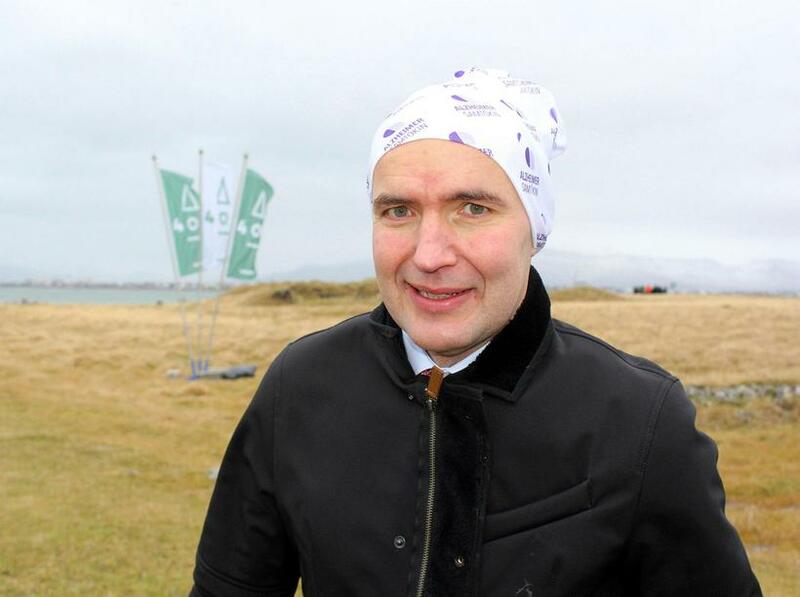 President Guðni Th. Jóhannesson is enjoying great popularity among the nation for his laid-back attitude and unpresidential air. He's been spotted biking his kids to school, picking up Domino's pizza, and now, wearing Buff headwear to an official function. 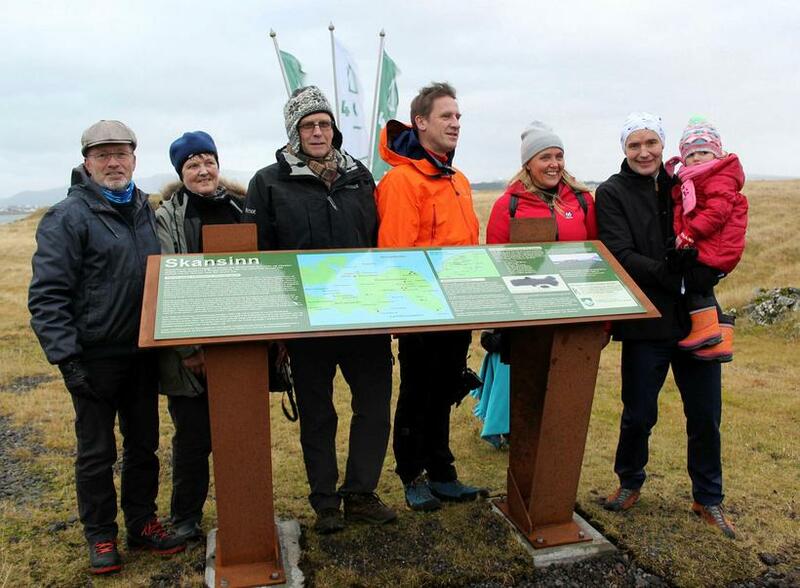 Buff headwear has always enjoyed great popularity in Iceland and is generally worn by sportspeople or schoolchildren. It is also something playschool children are made to wear on their head in case of a nit epidemic. Its fashionability status is however a topic of dispute. The President wore the headwear when revealing a new sign for archeological remains near the Presidential residency yesterday morning. The logos on the Buff are for the Icelandic association for Alzheimers awareness, and he received it as a gift on Friday from a a centre for people with Alzheimers. 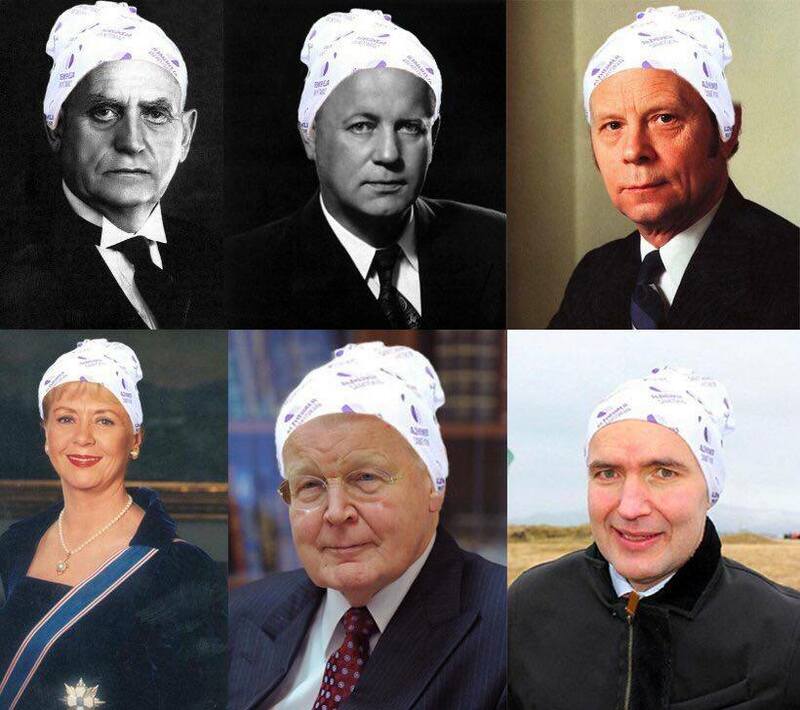 His unpresidential choice of headwear has become quite a Twitter sensation, in particular the tweets by Árni Torfason. Torfason set out on a quest to see what other Presidents would look like with a Buff on their heads. 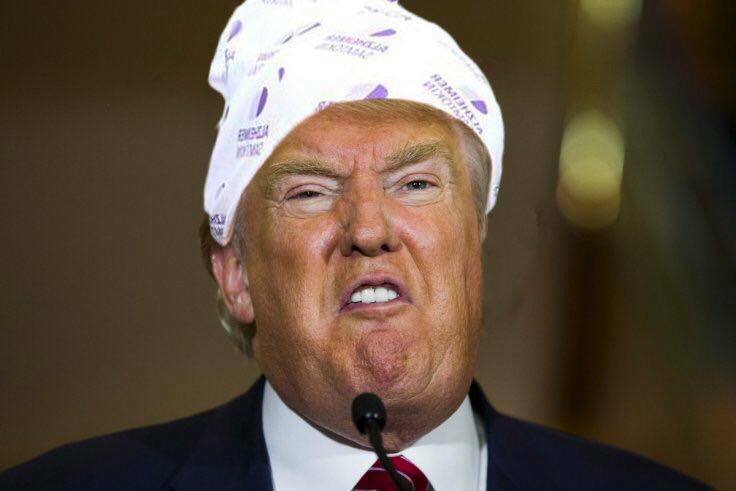 Would Donald Trump wear Buff headwear?